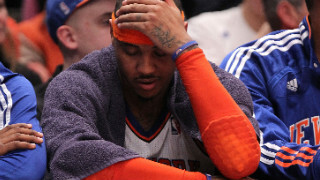 Trade Carmelo Anthony! These three words will ignite anger within an already frustrated fan base, and rightfully so. Trading the biggest star the Knicks have had since Patrick Ewing may seem blasphemous, even crazy, but it needs to be done. While the Knickerbockers star is still in the prime of his career and having one of his best seasons ever, the harsh reality is that this is the perfect time to break down this lackluster basketball team. If the NBA has taught us anything this past decade, it’s that you can no longer win with just one star player on your basketball team. Look at all the last 10 champions, they’ve had at least two usually three superstar players. The league is changing. Unless you are one of the few elite teams in the league, you just mill around in mediocrity. Let’s face it. Even when this team played well the previous two seasons, they weren’t serious title contenders. Sure they might win a round in the playoffs, but this is New York, that doesn’t cut it. With Carmelo in his prime, and a stocked Draft class coming up, the Knicks should try to make a deal. Am I saying the Knicks have to trade Melo? No, but if a team gives them a good deal with either draft picks or young talent, the Knicks would be foolish to pass it up. 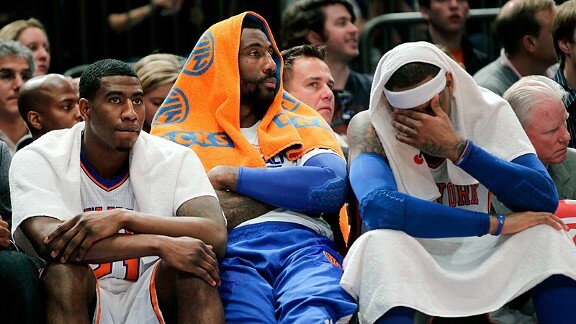 Let’s face it, the Knicks are nowhere near contending for an NBA title and need to reload. If anything shouldn’t the Knicks get some value before Melo leaves? As an unrestricted free agent this summer, there is a good chance Melo will leave. He’s already hinted that he will test free agency and there will be more attractive offers and situations out there for him. If LA calls, why wouldn’t Melo go? Instead of losing him and not getting anything in return, the Knicks need to maximize this opportunity and restart the rebuilding process. Knicks fans may not want to hear it, but it needs to be done. Previous Michael Sam: I’m Gay! And I’m going to Play!